Information: Dvora Lapson, author of books about Israeli dance. Dvora was a pioneer in Hebraic dance. She was born in New York City on February 16, 1907 and studied classic ballet and modern dance with some of the foremost teachers to be found in those fields, including Mikhail Fokine and Irma Duncan (sister of Isadora Duncan). As a young dancer, she felt impelled to explore the beauty, poetry, and traditions of the Jewish people through the medium of dance. Although Lapson was her married name, she used the title "Miss" during her dance career. Miss Lapson's earliest appearances on the concert stage were in the 1930s. As the only dancer creating movements in dance based exclusively on Jewish themes, she represented a courageous breakthrough for Jewish ethnic dance as an art form. She drew wide attention in the dance world as well as acclaim in the Jewish community. Her dances recaptured the beauty of ancient Biblical folklore and saga. Her performances aroused great enthusiastic response and she was invited to perform in countries on both sides of the Atlantic, as well as in Israel. In 1934, she received acclaim as the choreographer and soloist of the first Hebrew opera, "The Pioneers," which was performed in New York. She appeared in recitals on tour throughout Poland before World War II in the late 1930s, both to perform and to collect Jewish folk dances, particularly Hasidic, in small shtetlach (villages) that she visited. In early 1949, Miss Lapson made an extended recital tour in Israel, then just emerging from the final stages of its war for independence. As Dance Consultant and Director of the Dance Education Department of the Board of Jewish Education in New York, Miss Lapson originated the concept of integrating dance into the curriculum of the Jewish school. She felt that in learning traditional Jewish and Israeli folk dances, the students could forge their individual links with five-thousand years of Jewish history and with modern Israel. To advance these ideas, she organized and conducted dance seminars and workshops for hundreds of teachers in Jewish schools and trained and inspired a corps of professional dance instructors to teach Jewish dance. In 1961, Miss Lapson was invited to visit a number of army camps in the United States, where she conducted workshops for Jewish army personnel and their familys on the inclusion of Jewish dance in their educational programs. She was on the faculty of the Hebrew Union College's Jewish Institute of Religion (The School of Education) as an instructor in Jewish dance education. 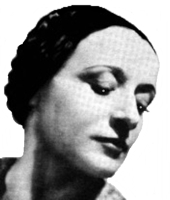 She arranged and notated Israeli dances and published them in two books. She choreographed more than a hundred dances based on Biblical and Jewish themes for yet a third book. Her publications and teaching have complemented the work of Gurit Kadman, Rivka Sturman, and many others in Israel. Dvora Lapson was invited to teach at the University of the Pacific Folk Dance Camp (now the Stockton Folk Dance Camp) in 1951 and 1952, where many students learned, for the first time, the inspiring and stimulating dances of the Jewish people. In 1954, she was the recipient of a medal and a citation for her outstanding contribution to Jewish culture in the United States by the American Tercentenary Committee. Miss Lapson acted as consultant to many performers and was the dance research consultant for the Broadway musical, "Fiddler on the Roof." She was a member of the International Folk Music (and Dance) Council (U.N.E.S.C.O.) where she represented Jewish dance. Dvora Lapson died in New York City on June 9, 1996, from complications of lung cancer, although she was never a smoker. We thank her son, Beril Lapson, and grandson Michael Lapson, for biographical information. The Bible in Dance. Lapson, Dvora. Jewish Education Press. Dances of the Jewish People. Lapson, Dvora. New York: Jewish Education Committee of New York, 1954. Instructions, music, and songs for East European Jewish and Israeli dances: Hanodeid, Kol Dodi, Hora Agadati, Baroiges Tanz. Folk Dances for Jewish Festivals. Lapson, Dvora. New York: Jewish Education Committee of New York, 1961. "DL 3" Includes Malu Asamenu Bar, Hakotzrim. Jewish Dances the Year Round. Lapson, Dvora. New York: Jewish Education Committee of New York, 1957.